Sigmund Freud was the father of psychoanalysis who lived in London for some of his life. Psychology student, Lesley, reviews her recent visit to the Freud museum. 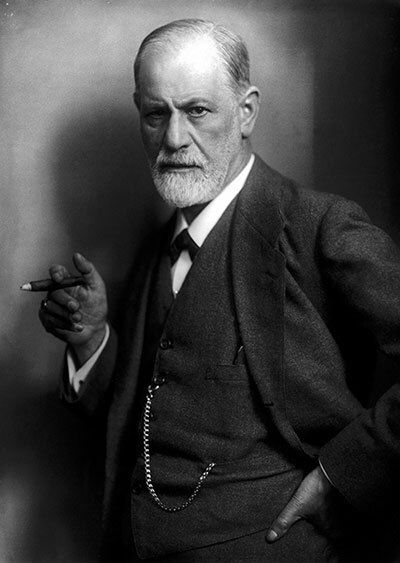 Fleeing from the annexation of Austria by the Nazis, Sigmund Freud came to London in March 1938 and became a resident of 20 Maresfields Gardens for a short time; he died a year later in September 1939. His wife Martha, sister-in-law Minna Bernays and housemaid Paula Fichtl together with his daughter and fellow psychoanalyst Anna Freud, later joined by her friend Dorothy Burlingham, continued to live and work at the house until Anna passed away in 1982. 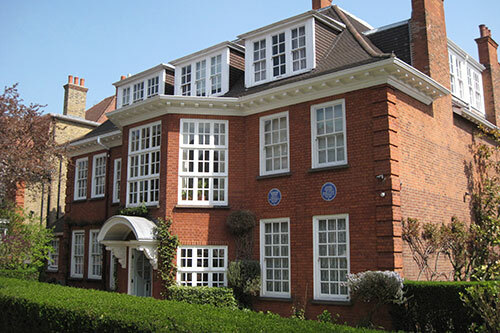 It was Anna’s wish that the house should become a museum and is one of the few locations in London to have two blue plaques (signs used to commemorate a link between that location and a famous person, serving as historical markers). The two-story house is beautifully large with plenty of character and is filled with exhibitions of items that belonged to Sigmund and Anna. There are 5 rooms to explore; hall, landing, Anna Freud room, study, front room and dining room. There is also an exhibition room, video room, and a conservatory which has now converted into a gift shop. Preserved by Anna Freud after her father’s death, the Study and Library give a true insight to the environment that Sigmund Freud worked in, representing the birth of psychoanalytic therapy. The room contains the original analytic couch where patients would lay comfortably and the chair where Freud listened to their ‘free association’, the verbal expression of anything that came to their mind without deliberate conscious effort. The Study has a large collection of antiques from ancient Greece, Rome, Egypt and the Orient; it is visibly evident that it was one of Freud’s passions. The Library has over 1600 titles covering a wide variation of subjects such as art, literature, archaeology, philosophy and history as well as psychology, medicine and psychoanalysis. The Study and Library is very atmospheric, capturing the true essence of the birth of psychoanalysis. The Anna Freud Room also provides a great insight into her life with many of her personal items on display, such as letters, poems and telephone recordings. The room also contains furniture from her own study as a psychoanalyst, including her analytic couch. I would highly recommend The Freud Museum for anyone studying psychology, however it is of particular significance for one who is interested in psychoanalysis. Not only does the Freud Museum captivate the birth of psychoanalysis, but it also celebrates and gives insight into what Sigmund Freud was like as a person, as well as his family.